Have you ever looked up at the starlit sky and wondered how much light resides in the stars in the universe? An international group of scientists has done just that and has managed to measure all of the starlight ever produced. This allowed them to determine the history of star formation in over 90% of the universe's lifetime. A paper on the group's results was published in the journal Science tomorrow, and among the lead authors of the study is Kári Helgason, an astrophysicist at the University of Iceland's Science Institute. Astrophysicists believe that our universe, which is about 13.7 billion years old, began forming the first stars when it was "only" a few million years old. The stars form giant systems called galaxies. Light from galaxies has steadily accumulated into a cosmic fog composed of all the ultraviolet, visible and infrared starlight ever emitted; the light continues to travel even after the stars have burned out. The extragalactic background light - EBL - thus contains information on the history of star formation in the universe. The research team used novel methods to measure the background light using data collected by the Fermi Gamma-ray Space Telescope which was launched into space 10 years ago. When high-energy gamma rays collide with low-energy visible light on their journey through space, they can transform into matter, one electron and one positron, according to Einstein's equation E=mc2. The collision reduces the gamma-rays' intensity, similar to a fog dimming a car’s headlights. The scientists were able to analyse this reduction in detail and hence draw a clear picture of the EBL. A lead author of the paper, Marco Ajello, an astrophysicist at Clemson University, along with a postdoctoral researcher on his team, Vaidehi Paliya, analysed almost nine years of gamma ray data from 739 distant blazars; galaxies that host supermassive black holes in their centre. Some of these bright blazars are observed over half way across the observable universe. Kári Helgason, who specialises in measuring and modelling the background light, was able to reconstruct the evolution of the background light over 12 billion years of cosmic history. This has not been achieved before. 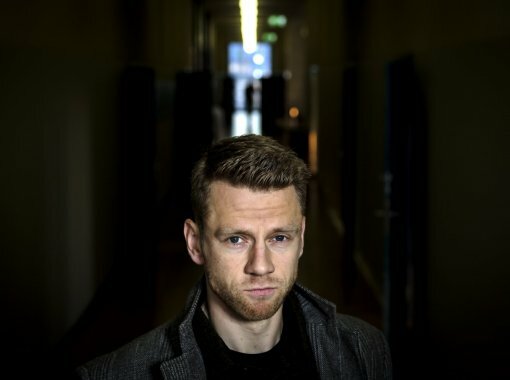 Kári graduated with a BS degree in physics from the University of Iceland in 2008, followed by graduate studies at the University of Maryland in the United States. He did his PhD thesis at NASA Goddard Space Flight Center. After completing his PhD in 2014, he moved to Germany where he worked at the Max Planck institute for Astrophysics. He returned to Iceland earlier this year to work at the University of Iceland's Science Institute. But how much light did the team measure? Visible light is counted in photons, particles of light, and according to the team’s measurements the amount of starlight ever produced in the observable universe translates to 4,000,000,000,000,000,000,000,000,000,000,000,000,000,000,000,000,000,000,000,000,000,000,000,000,000,000,000,000 photons (4x1084) in the last thirteen billion years. Most of these photons still exist today, filling up intergalactic space. Despite this mind-boggling number the background light is nevertheless very diluted in our vast, ever expanding universe. The total light is merely equivalent to a single 60-watt light bulb viewed in complete darkness at about 4 kilometre’s distance, dispersed over the entire sky. This is why the sky seems dark at night. New stars are continuously being formed today. For instance, about seven new stars are created in our Milky Way galaxy every year. Based on their measurements, the team was able to recreate the history of star formation over 90% of the age of the universe. The results indicate that star formation peaked around 10 billion years ago and has been declining ever since; this is in agreement with the results from traditional galaxy surveys. "Imagine if anthropologists suddenly received accurate data on the human birth rate, encompassing a period from the stone ages to the present day. This is somewhat similar,” explains Kári. The team that led the study consists of astrophysicists from the United States (Marco Ajello and Vaidehi Paliy, Clemson University; Justin Finke, NRL), Iceland (Kári Helgason, University of Iceland), and Spain (Alberto Dominguez, Complutense University of Madrid). 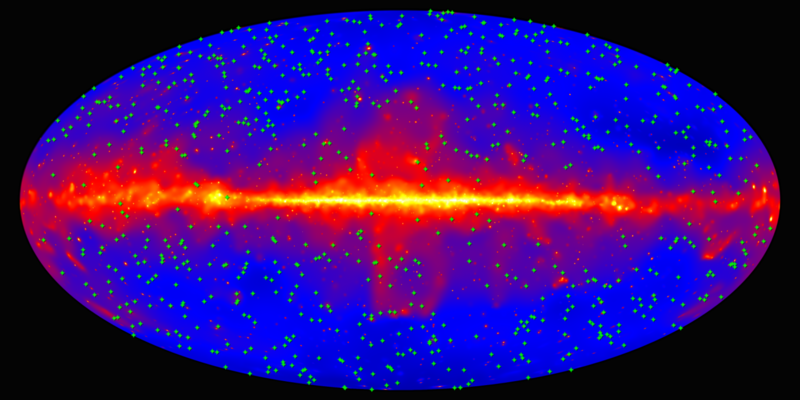 A total of 130 researchers from prominent research institutes in astrophysics around the world were involved in the published paper, which is entitled “A gamma-ray determination of the Universe’s star-formation history”. Among the authors is another astrophysicist at the University of Iceland, Guðlaugur Jóhannesson. Guðlaugur has been an active member of NASA’s Fermi collaboration throughout the mission lifetime, and now serves as the Deputy Analysis Coordinator of Fermi. But what are the implications of these results? "The results support the present picture of the star formation history. Our method is in principle sensitive to star formation than has hitherto been missed by traditional galaxy surveys, but our measurements show a remarkable agreement with prior data. When two very different methodologies lead to the same conclusion we know we're on the right track," says Kári Helgason. “We were, furthermore, able to limit the amount of light that existed in the early days of the universe when the first galaxies were assembling. Our results suggest that the James Webb Space Telescope, which will be launched in 2021, may not find as many young galaxies as expected during this important epoch." Kári graduated with a BS degree in physics from the University of Iceland in 2008, followed by graduate studies at the University of Maryland in the United States. He did his PhD thesis at NASA Goddard Space Flight Center. After completing his PhD in 2014, he moved to Germany where he worked at the Max Planck institute for Astrophysics. He returned to Iceland earlier this year to work at the University of Iceland's Science Institute. His work is funded by the Icelandic Research Centre (Rannís). The article on the Science website.